For anyone following this blog, you are well aware that this summer in Sweden has been cold, wet, and well, pretty depressing. But a couple of weeks ago there was a beautiful, sunny day that even fit into the category of being hot. 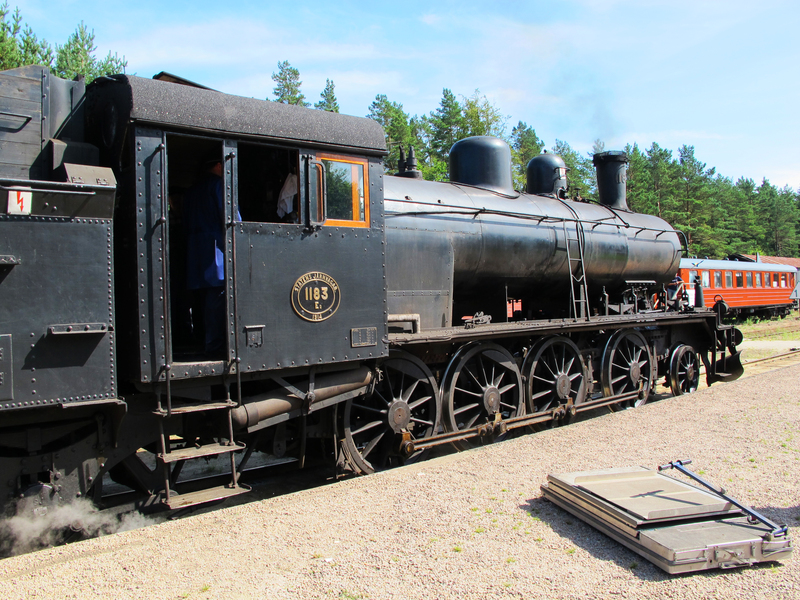 And fortunately for us it happened to be the day that we were headed to Brösarp in the region of Österlen to ride the historic steam train. 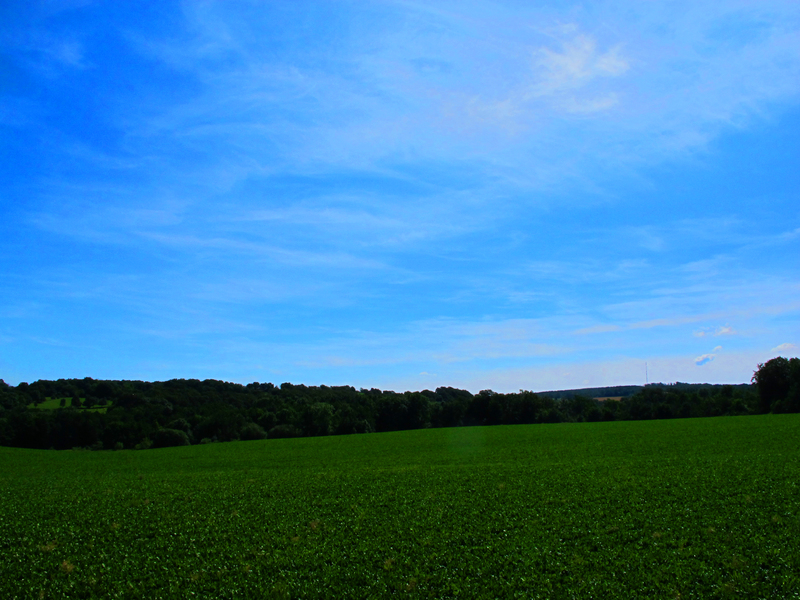 It was one of those dreamy summer days with lots of blue sky, sunshine and some wispy clouds. Our car’s British navigation guide (Bridget as we like to call her) took us on the utmost back roads route to get from Malmö to Brösarp. Our scenic drive through the country lasted well over an hour and took us by masses of butterflies, chirping crickets, and ripe uncut fields. It was the perfect day to drive with the windows down and take in not only the sights, but the smells of summer. We passed through dense patches of forest where the scent of dry pine prevailed before the landscape opened up to stone-lined fields. There were hillsides blanketed in lavender and yellow flowers and thatched roof cottages dotting the roadside. You could almost taste carrots and beets fresh from their gardens just by breathing in. I wish I could have savored the ride and had the time to stop and take some photos to share with you, but since we got a late start and Bridget took us on a lovely, but time-consuming route we were sweating bullets as to whether or not we would make it to the train on time. It was one of those instances where you are looking at the clock nearly the entire time and bouncing back and forth between “we can make it,” and “there is no way we are going to make it.” And you are thinking please let us make it because there will be some mighty disappointed children in the back seat if we don’t. I had images in my head of the train pulling out just as we reached the station. It was scheduled to leave at 1:15 and we arrived at 1:14. I ran in to see if I could still buy tickets while Magnus parked the car. The retired gentleman behind the counter seemed to think there was all the time in the world. As I frantically ran to the train and asked the conductor if we could still get on Magnus arrived with the girls, we hopped on board, and the train pulled out. Phew. We made it. 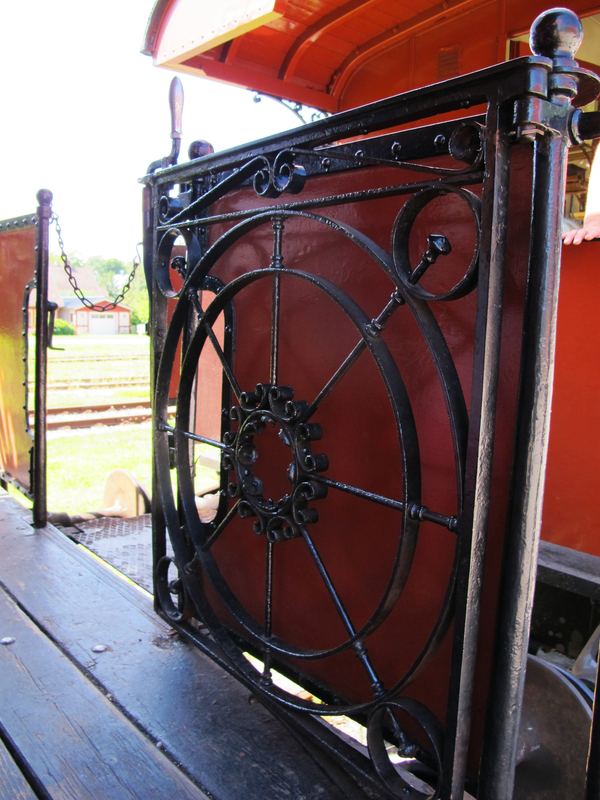 As the 1914 steam engine puffed out of the station we rode along in a 1942 rail car. The windows were open letting in fresh air and a bit of an authentic steam engine ride. We were in the car just behind the engine and you could sense a distinct, but not unpleasant, sooty taste in your mouth as the engine chugged along billowing steam. They would periodically blow the whistle which would make the majority of the passengers jump and the kids squeal. 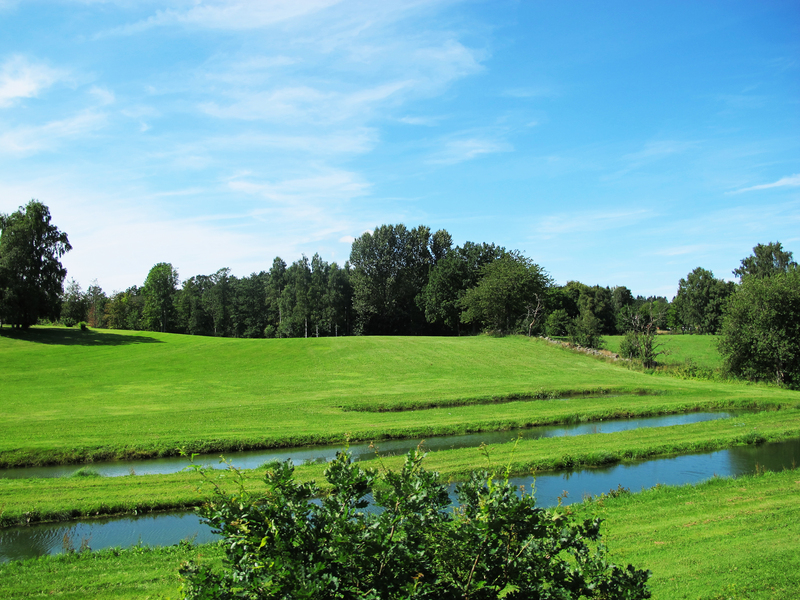 The pace of the train is pretty gentle as it chugs up and down hills through the beautiful Österlen countryside. 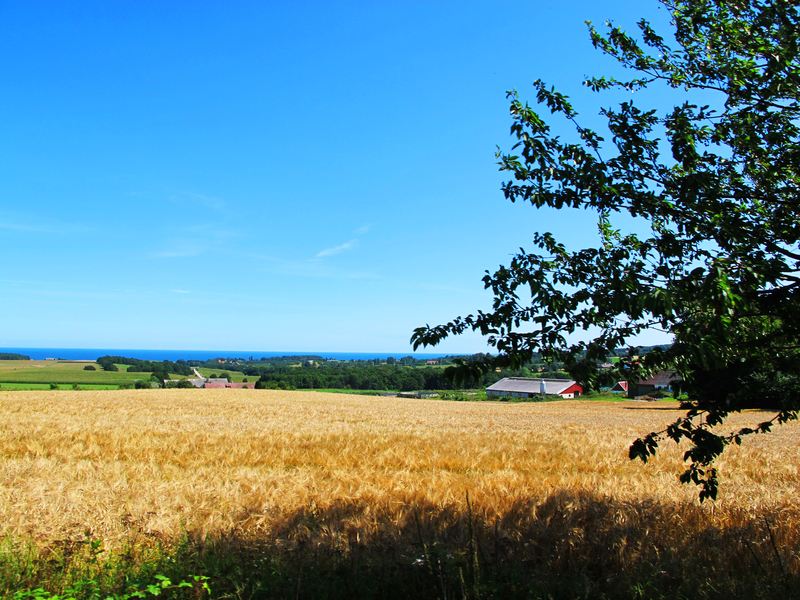 There are glimpses of the sea across golden wheat fields and stretches of forest and rolling green hills. 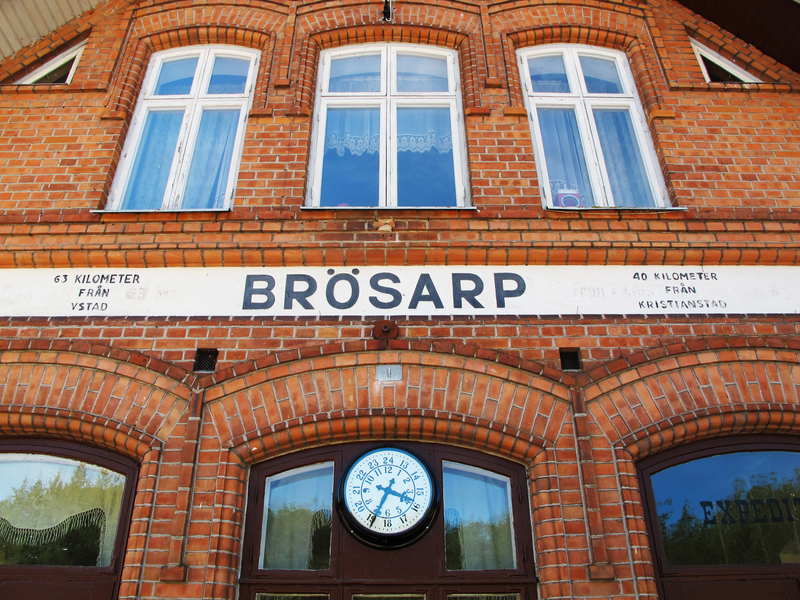 There are four stations along the route starting with Brösarp, then Ravlundabro, Vitaby, and finally Sankt Olof. It’s a 30 minute ride from one end to the other. You can hop on the train at either Brösarp or Sankt Olof and there is a 30 minute pause at either end while they turn the engine around. While you are waiting for your return I recommend grabbing an ice cream to eat on the way back since food is allowed on the train. There is a dining car option that you can book in advance but I can’t speak to the quality of the food since we didn’t try the restaurant car. We did give the kafevagn (cafe car) a go at the Brösarp station and although the people who worked there were super friendly and charming, I think I would bring a picnic next time instead. Or get a waffle to go and sit outside instead of in what felt like a hermetically sealed ancient rail car. One of the most entertaining parts of the journey was the number of photographers and train enthusiasts we passed along the way. It seemed like photographers kept popping up out of the wheat fields and there were spectators waving and enjoying watching the train go by as much as we were enjoying being on it. You really got the sense that you were doing something special. It was also interesting to see a couple of passengers who were remembering what it was like to travel by steam train. There was a gentlemen who never left the window and seemed to be reliving part of his youth as he stood there reminiscing with his grown daughter who was probably nearing 60. The rail line originally opened in 1901 and operated until 1971. 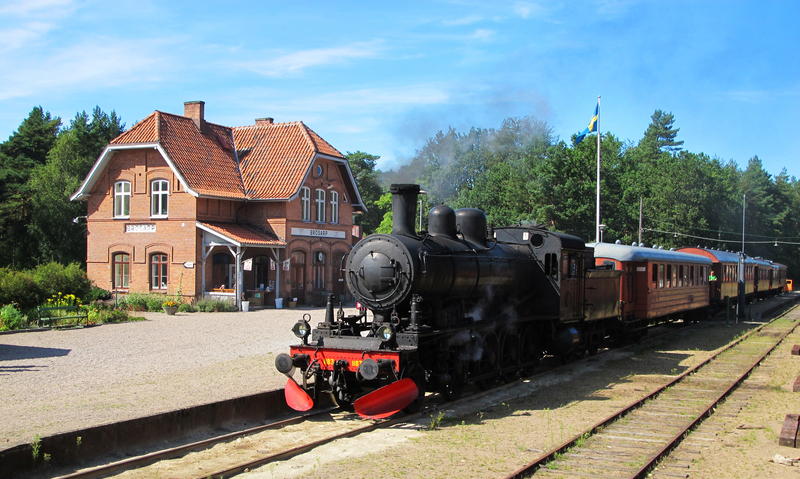 The goal of the Skånska Järnvägar (Railways of Skåne) operators is to recreate a 1950s railway experience with the assistance of enthusiastic volunteers. 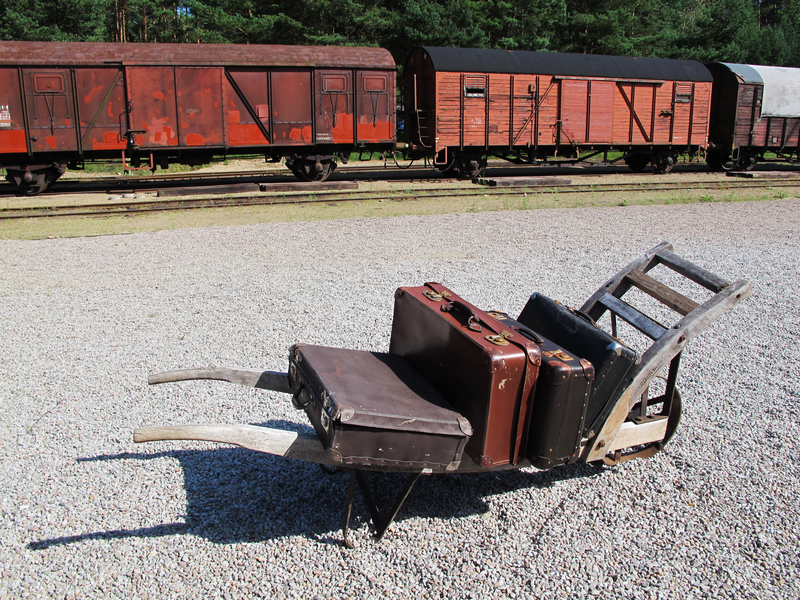 It was easy to imagine our 1942 rail car full of luggage and passengers as it traveled throughout Sweden. There are three departure times on Sundays and additionally on Wednesdays and Thursdays in July. 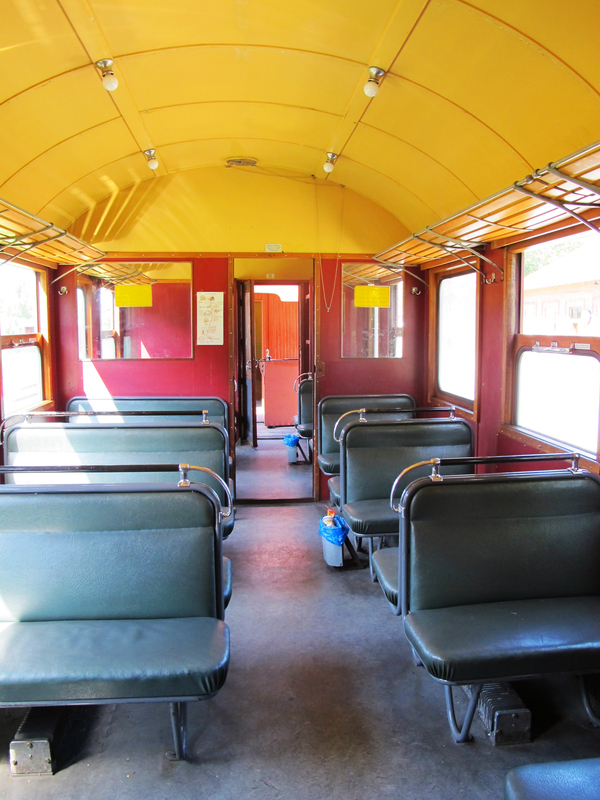 This year the train operates from May 29th – September 11th so there is still a chance to catch a ride on a piece of history before the fall. Or you could give the Jultåg (Christmas train) a try in December complete with Santa, glögg (mulled wine), and grilled sausages. We thoroughly enjoyed our ride on the historic railway. It’s certainly worth doing not only for the unique experience, but to be a part of keeping history alive. I will definately make sure that Ross gets a look at this one. If we ever make it to Sweden, we will have to make a point of getting to this train and riding it. 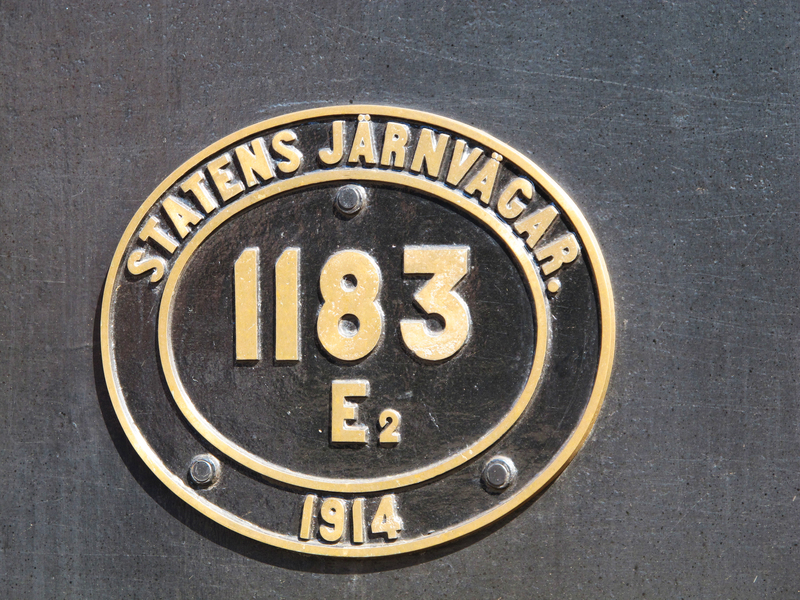 Lovely pictures and text from the Brösarp Steam Train ride! Must forward this to my brother Per who lives near Ystad. Don’t know if they have tried this way of Österlen travel. I also forwarded the link to a friend, who is an volunteer (signalling man) at the Blue Bell Railway (Steam Train) in Sussex http://www.bluebell-railway.com He really enjoyed your post re Brösarp Team train. Thanks for forwarding the information to folks who might be interested. We really enjoyed our jaunt on the train. We’ll see if we are inspired to get back for the Jultåg. Thank you! I’m really enjoying the whole blogging experience, including the photography and the surprise of who finds the site. It’s a blast. How exciting! I’ll send you an email with information. I put together a lot of tips for some family friends who visited a while ago, so I’ve added to that and will send it along. It’s got me to thinking that I should write a post about my recommends in Malmö! 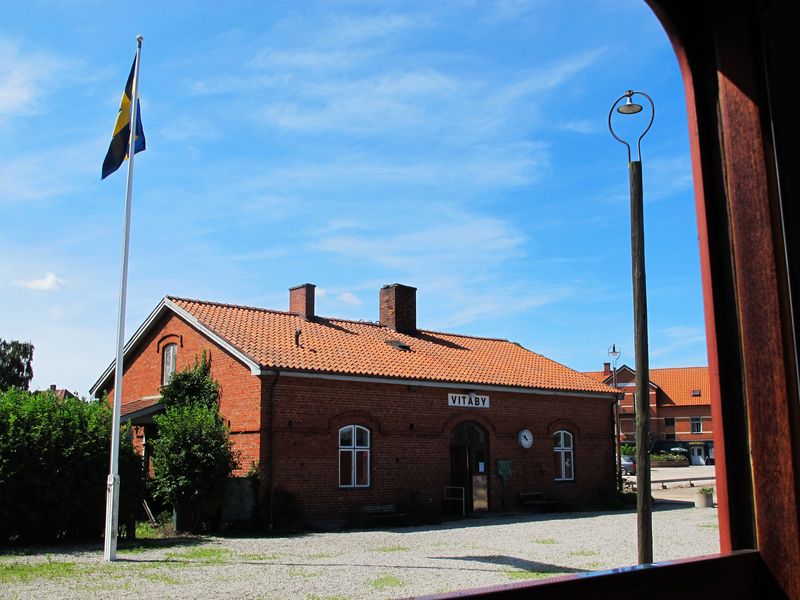 Just back in UK from a family wedding near Ystad but managed a brilliant day on Sunday on the train. It was really a great trip. The Brosarp buffet car staff even got the hang of using boiling water to make a decent cup of English style tea. 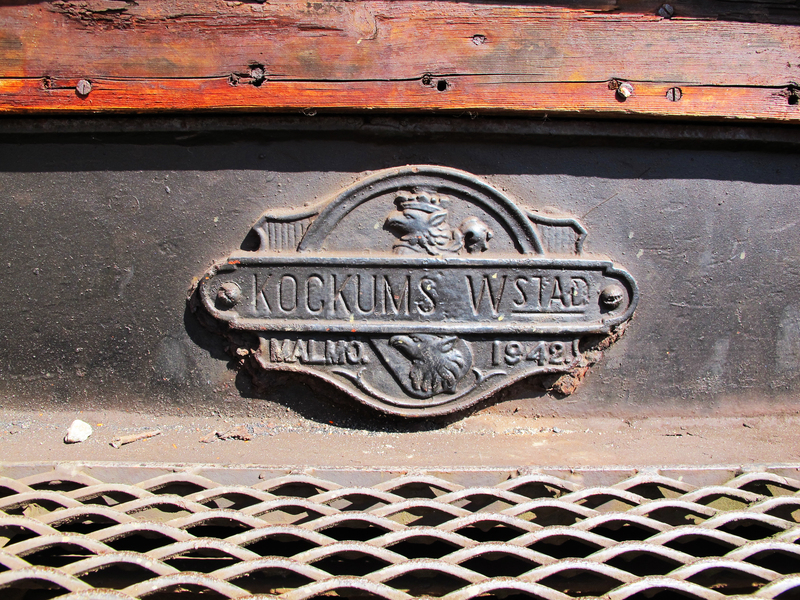 Bumping along in an old four wheeled coach on the back platform was rather fun and the countryside is very pretty. The dining car was fully booked but the cafe offering was rather limited as you said and there was no shop as far as i could see. UK preserved railways make more money from cafes and shops than they do from the rain tickets. A pity I didn’t see your blog before we went.